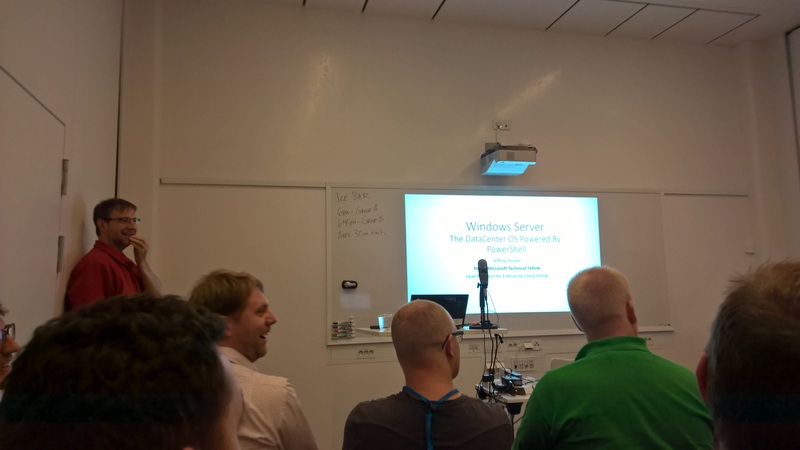 In Hannover, Germany, at the PowerShell Conference Europe 2016. Why will I go there? I was attending the PowerShell Summit Europe this year and found it amazing to speak with all those genius people attending the Summit. I mean, I´m reading content and tips created by them every day and suddenly I can talk to all those big names like Don Jones, Jeffrey Hicks, Jason Helmick, June Blender, Tobias Weltner and even Jeffrey Snover! Not to forget all the great other attendees whom I met and am in contact since. What was great to see, is that while the Summit was still running, some guys already started to team up to plan for an event in Europe. I remember sitting and talking to a bunch of people about how and where that event could take place. After a while Tobias Weltner dropped a mail to the mailing list (thanks to PowerShell.org for providing this “first contact” medium) asking what is already planned and how he could help. And he provided a great idea: Could the PowerShell Konferenz Deutschland team up with some volunteers to extend it and make it a dual language event? In the coming weeks I have seen a great team of volunteers spinning up an amazing website based on GitHub (practice what you preach 😉 ). The coordination and communication is done via Slack, which also was completely new to me. You want to work in a group? Try Slack. I really like it. On November 2nd Tobias Weltner informed the world about this new event during a live podcast from the MVP Summit, provided by the PowerScripting podcast (If you don´t know it, get to know it. I learned a lot while listening to them). The Agenda is not set up yet, but I know that many great speakers have sent in session proposals. I know for sure that Bruce Payette will be joining and delivering a session. That alone is worth the travel. Who knows, maybe some other Microsoft employees will come by also? This event will be a unique place to share knowledge and interact, as it will provide space and session slots for community content and breakout rooms which can be used by PowerShell Usergroups. The PowerShell Usergroup southern germany will be there, that´s for sure. And not to forget the evening event in the Zoo. Eating, drinking and socializing surrounded by polar bears and penguins? Sounds like fun. 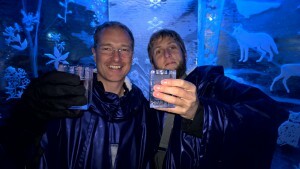 It kind of connects to this years summit, which provided a drink in Stockholms Ice Bar. So if you want to learn great PowerShell content, delivered by great speakers and meet other PowerShellers, navigate to www.psconf.eu now and register. If you are one of the first 100 who register, you will get an early bird price.